The Fountainhead Residency provides artists an environment to create, converse, inspire and be inspired outside of daily routines and traditional confines of their home life. From the moment artists arrive they’re immersed in the visual beauty of Miami and the color and depth of the local community. In addition to creating work while at The Residency; artists attend openings and talks, visit museums and galleries, and receive vital feedback from art professionals through one-on-one studio visits and public open houses. Artists live communally in a 1950’s Miami Modern home flooded with natural light and the energy that comes with it. The home is located in the heart of Miami’s cultural community with most museums, galleries, private collections, alternative spaces and performing arts venues are all within less than 7 miles. Residencies are schedule 12-18 months in advance. Yes, each resident will have their private bedroom, unless previously discussed. The Residency is centrally located close to Miami International Airport, South Beach, Wynwood Art District, The Design District and downtown. Public transportation is within walking distance. There are four bikes for residents to use. Uber and Lyft are both here in Miami and very reasonably priced. Not without prior approval. We cannot commit to allowing anyone visitors but, we’re open. There are multiple artists at one time and everyone is there with a purpose. We expect you'll actively work towards the goals we discussed when you were accepted and to make the best of the residency and all it has to offer. 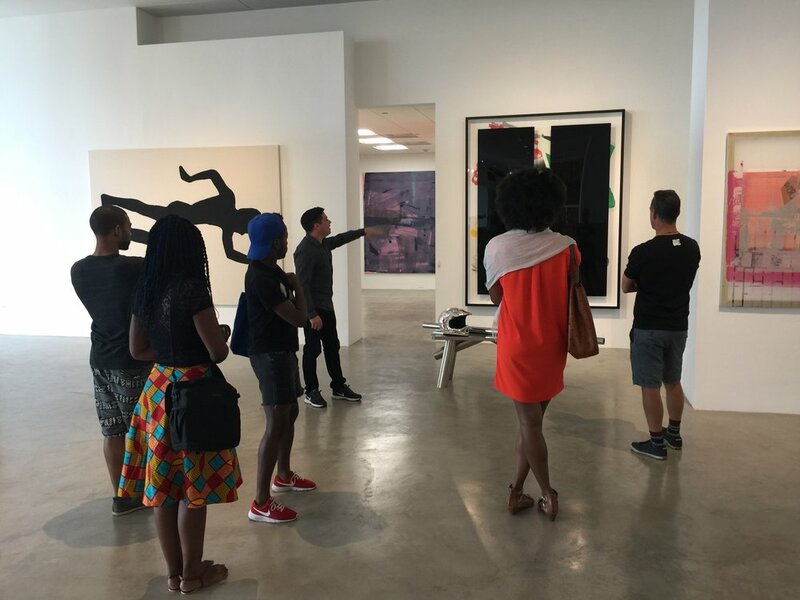 We hope that you will openly engage with other artists in the Residency and that you'll take time to get to know Miami and its diverse community. We respect that not all artists will want to host studio visits and/or show what they have produced therefore this is handled on an individual basis. If you have specific requests please feel free to include them in your applications. We work closely with many local curators, artists, gallery owners and collectors so this opportunity is limited only by time available. We will do all we can to fulfill your requests and goals while here.